Pickering, Timothy (1745-1829) Secretary of State, Secretary of War: Timothy Pickering was born on July 17, 1745, in Salem, Massachusetts. After graduating from Harvard in 1763, he studied law, and was admitted to the bar in 1768. Nevertheless, Pickering practiced law very little, and did not achieve distinction as a lawyer. He served as register of deeds for Essex County, while showing an interest in military affairs. He applied his military studies while serving in the Revolutionary War. Pickering published "An Easy Plan of Discipline for a Militia," which was used in the Continental Army until Baron von Steuben's "Blue Book." After serving in various judicial positions, Pickering became adjutant-general in 1776, under General Washington. Impatient and critical of Washington's caution and self-restraint, Pickering incorrectly predicted that the war would be over in one year. He was present at the Battles of Brandywine and Germantown, and was elected a member of the Board of War. Serving as Quartermaster-General of the Army in 1780, he was present at the surrender of Cornwallis. Pickering was largely responsible for the efficient functioning of the quartermaster's department. Along with Alexander Hamilton and Patrick Henry, he protested the cruel treatment that drove many former Loyalists out of the country after the Patriot victory. When he left the army in 1785, Pickering became a merchant in Philadelphia. Two years later, he and his family moved to Wyoming. He became involved in disturbances related to the arrest of John Franklin, leader of insurgent Connecticut settlers. Pickering's house was attacked by rioters, but he escaped being taken as a hostage by escaping into the woods. He made his way back to Philadelphia, where he was elected to attend the 1787 Constitutional Convention. He was not among the signers of the document, however. When he returned to Wyoming, toward the end of 1788, he was kidnapped by a band of masked men, and kept prisoner for 3 weeks. Unable to convince him to write a letter to request the release of John Franklin, and aware that militia were pursuing them; the kidnappers released him with the promise that Pickering would intercede for them. 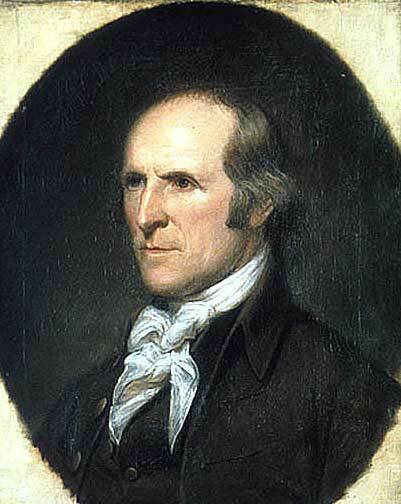 After serving at the convention to draft a constitution for the state of Pennsylvania, Pickering was appointed by President Washington to negotiate a treaty with the Seneca Indians. In July, 1791, he succeeded in presenting an important treaty between the United States and the Six Nations. Pickering was appointed Postmaster-general in 1791, an office he held until 1795, the year in which he was appointed Secretary of War. At that time, the Department of War included the Department of the Navy and the Bureau of Indian Affairs. Pickering was instrumental in founding the US Military Academy at West Point. After serving as acting Secretary of State, he was officially appointed to the position. In May of 1800, however, Pickering was dismissed from office; after the disagreements between President Adams and his Cabinet over the "XYZ Affair." Pickering returned to a home on the frontier near Pennsylvania. Deeply in debt, he was relieved when some citizens of Boston purchased some of his land. This put him on more secure financial footing, and he decided to move to Massachusetts. There, he became Chief Justice of the Common Pleas, and a US Senator. Known to be an extreme Federalist, he was hanged in effigy in Philadelphia in 1809; charged with embezzlement the following year and formally censured by the Senate for a technical violation. He was cleared of the charges and the violation, since both were based on political animosity. After the end of his term, he retired to his farm in Massachusetts. He returned to Congress, then served on the Executive Council of Massachusetts. Pickering spent the rest of his life in retirement in Salem, Massachusetts, where he died on January 29, 1829.